It’s Getting Hot in Herre! (but you can leave your clothes on if you want). Either way, it’s time to bust out some salsas. SALSA, people, is one of the reasons I exist. There is nothing I don’t like about a salsa. Nothing. Pineapple salsa is a bit of a new one for me, I wasn’t even aware of the glory of pineapple in Mexican food until 2010 and I ate a vegan burrito in Vancouver. Black beans and pineapple in amongst the other assorted burrito-y goodness? Where had it been all my life? More importantly, could I pull off the same flavour at home? I love this salsa as a side dish of sorts with enchiladas, quesadillas or burritos. It’s a bit too chunky to have with chips (but you could sort out the pineapple pieces if that’s what you want to do), so works well as a bit of a garnish. Grab yourself a margarita and a tortilla and let’s party! 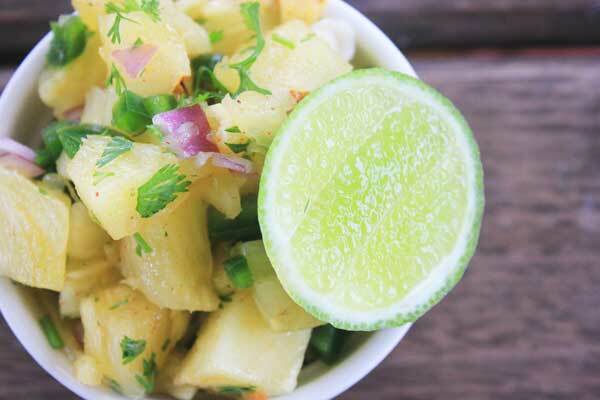 As the weather heats up, cool everything down with this pineapple salsa. Mix all in a large bowl and leave to sit for about at least an hour, to allow flavours to mingle. Test for seasoning before serving. Serve cold as a nice counterpoint to your spicy food! I really don’t like fruit, but I like them in savory things. Weird, huh! I’ve really gotta make one this summer! Now I want a burrito for breakfast. Damn you boring toast! I think I’ve got a breakfast burrito recipe here somewhere! I love a good salsa. I’ve never had a pineapple salsa so I’ll have to try this. Mango salsa is also fantastic. Yum, I love pineapple, especially in savoury dishes. I can’t believe there are people out there who think pineapple should never be cooked! Yeah I don’t mind it meself! Dang, this looks GOOD! It reminds me of my trip to Vietnam earlier in the year where at a dinner, dessert was sliced pineapple that you dip in salt and chilli. Sounds wrong but it’s so right. WHAT?! I need that so bad. That sounds amazing. I am dying to go to Vietnam! 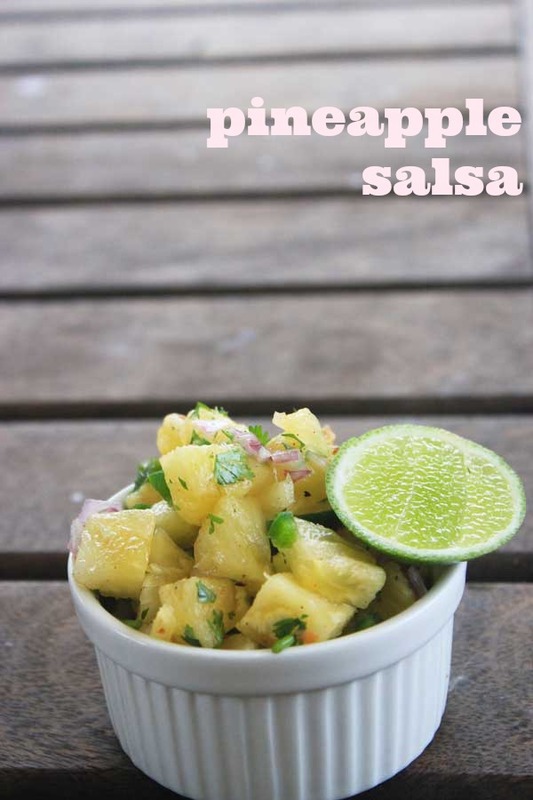 I love pineapple but have never made it into salsa before – this is definitely happening as part of my next Mexican feast! Thanks Stacey!